Quetzalcoatlus was a type of pterosaur and is one of the largest flying animal of all time, or was it? A study by Sankar Chatterjee, a Texas Tech University professor, claims that the Quetzalcoatlus would not have been able to fly. Instead the pterosaur would soar and glide in a similar fashion as the albatross. Take-off would have been very difficult. Recent studies have estimated Quetzalcoatlus to weigh around 200 to 250 kg. According to Chatterjee this would have made the dinosaur far too massive to enable flight. Take-off directly from the ground would have been nearly impossible. If the Quetzalcoatlus attempted to use a catapult method of take-off similar to that of vampire bats it would not have been able to reach a height high enough for wing clearance. It’s wings would have smashed into the ground on the downstroke. It is possible that they would employ a take-off method similar to an albatross; where they would run downhill in order to build up speed. They also could have dived from an elevated cliff inorder to build up speed and achieve flight. However, even if it was able to take-off would it be able to maintain flight? Chatterjee again argues that it could not. He calculates that the Quetzalcoatlus would have required 2440 watts of power in order to maintain level flight, but the pterosaur could probably only generate 1600 watts, according to Chatterjee. This would be far below the power required to fly. In order to stay in the air it probably would have relied on updrafts. Powered flight and take-off would simply be too difficult of an animal of such a massive size. However, these calculations are highly controversial. Some say the Quetzalcoatlus could have weighed closer to 70 kg. This is much lower than the estimate of around 200 kg. This new mass of calculation completely changes the situation. Chatterjee argues that the pterosaur would still not have had the strength for powered flight. 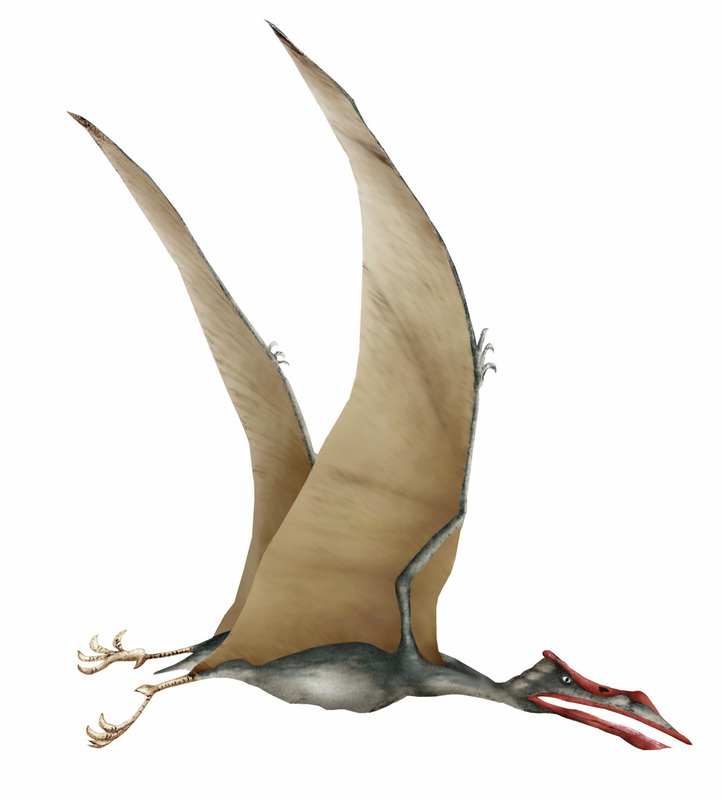 Mark Witton, however, says that this is “plain wrong.” He states that by his calculations the Quetzalcoatlus could have achieved flight and take-off. He claims that Chatterjee’s study is just not scientifically credible. The Quetzalcoatlus would have been able to attain clearance using a “quad launch” method of takeoff. Furthermore, comparing their takeoff to scaled up bats is irrelevant because they are quite different anatomically from bats. The facts seem to side with the “flying” side of the argument, but its not conclusive. Chatterjee argument seems to be a little incomplete. This topic will certainly continue to be argued for sometime. Chatterjee, Sankar. “Flight Initiating Quadrupedal Jumps in the Giant Pterodactyloid Quetzalcoatlus: Fact or Fantasy” Geological Society of America, 7 Nov. 2012. Web. 24 Nov. 2012. Davis, John. “Researcher Uncovers More Information About Rare Pterosaur.” Texas Tech Today. Texas Tech University, 8 Nov. 2012. Web. 24 Nov. 2012. Habib, Michael. “Pterosaur.net Blog” : Pterosaur Fact Checking. 12 Nov. 2012. Web. 24 Nov. 2012. Witton, Mark. “Pterosaur.net Blog” : How Giant Pterosaurs are Struggling to Takeoff from the Sinking Ship of Science Journalism. 11 Nov. 2012. Web. 24 Nov. 2012.